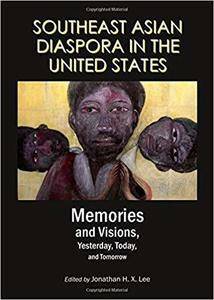 Southeast Asian Diaspora in the United States: Memories and Visions, Yesterday, Today, and Tommorrow provides various exploratory interpretations of Southeast Asian American subjectivities, communities, histories, creativities, and cultural expressions, as they are revealed, informed, or infused with visions, dreams, and or memories of self in relation to others, places, time, and events - whether historically significant or quotidian. The interaction and interplay of visions, memories, and subjectivities is the focus of examination and interpretation, either directly or tangentially. The authors explore varieties of homes, religiosities, creativities, cultural forms and productions, and queer sexualities, utilizing critical ethnic and Asian American studies discourses coupled with other interdisciplinary approaches to provide new and alternative visions on Cambodian, Hmong, Filipino, Indonesian, Lao, Thai, and Vietnamese American subjects and their communities that link Southeast Asia to America in vexing, creative, and purposeful ways.